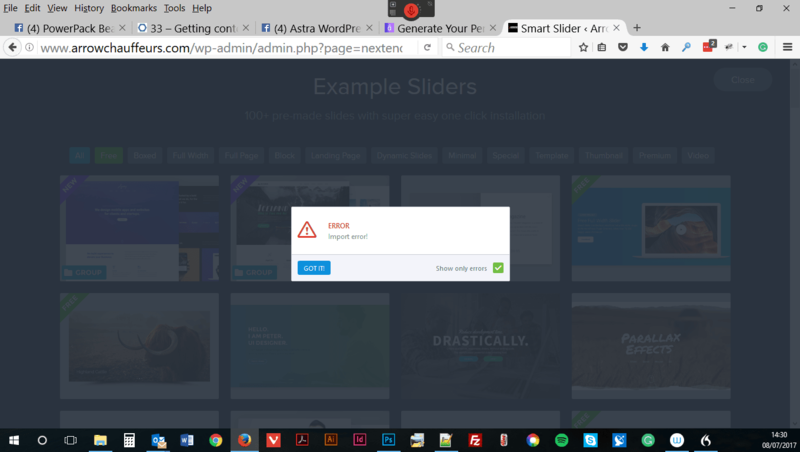 Hi Guys, I have bought Smart Slider Pro but when I click in the sliders to change a designed slider it will not download and I get and error. Please can you advise what I am doing wrong. Thank you. I would like to send you a screenshot but this form dose not allow images, so please visit https://www.tlc-online.co.uk/slider_problem to see the screen I am getting.